Rent scooters and cars in Amorgos. Bus. Beach boat. 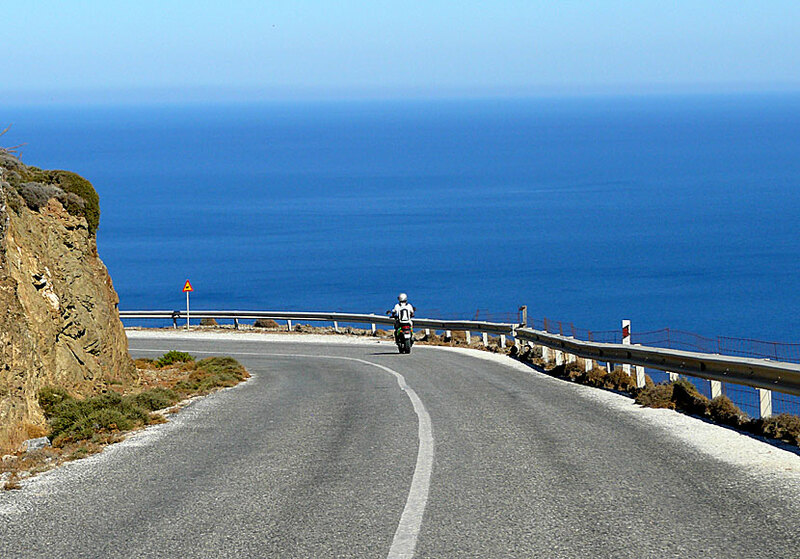 To discover Amorgos by private car or scooter is a true pleasure. You are offered amazing views. It is a mountainous island, the roads goes either up or down, there is almost nothing in between, it is like riding a roller-coaster without having to buy a ticket. It takes time to drive "around" the island, and it is not due to bad roads and heavy traffic, but due to all the stops you are tempted to do along the way. The views are always tremendously beautiful and behind the next curve there is always something new to fix your eyes upon. I think that Amorgos is one of Greece's top three islands to discover by scooter, the other two are Karpathos and Skopelos. Wherever you go you are offered beautiful views. Scooters and cars can be rented in Chora, Aegiali and Katapola. I always rent my scooter at Thomas Auto Moto Rental. There are two gas stations on the island, one behind the beach in Aegiali and one above Katapola on the road to Chora. There is regular bus service on the route Katapola-Chora-Aegiali. It takes about an hour between Katapola and Aegiali. The buses to Agia Anna and to the monastery of Hozoviotissa starts out from Chora. Buses to Langada and Tholaria runs from the port of Aegiali. 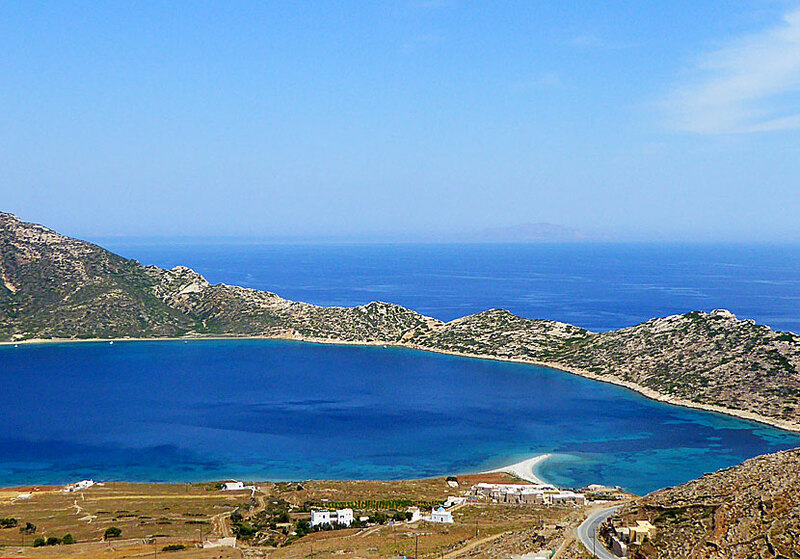 Buses to the southern parts of the island, including the villages of Vroutsi, Kolofana and Arkesini, starts out from Chora. Be sure to check when the bus returns if you go to the smaller villages, it can be a little so-so with frequency. Timetables are on buses. Discovering Amorgos with a scooter is quite amazing. Taxi is a good alternative to the bus, especially if you are more people who share the prize. Taxi Katapola: 22850-71255. Taxi Aegiali 22850-73570. Check for safety that the numbers are correct, they might have been changed. Another beautiful view on Amorgos. The island of Nikouria and the small beach of Agios Pavlos. From Katapola you can go by beach boat to Maltezi beach and Plakes, a bathing place with rocks located after Maltezi. From Agios Pavlos you can go by beach boat to the small island of Nikouria. Amorgos is an excellent hiking island. And that is one of the reasons why we like Amorgos so much. So if you like to hike you will love Amorgos.